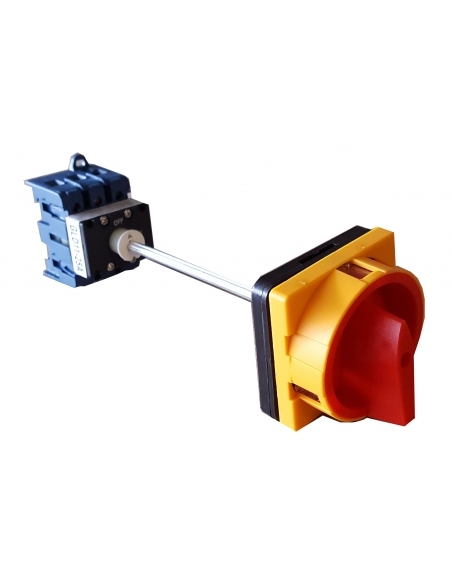 adajusa.com offers a wide range of rotary switch disconnectors and cams suitable for interruption, switching and connection of circuits as well as starting of machines and motors, 3 poles and 4 poles. 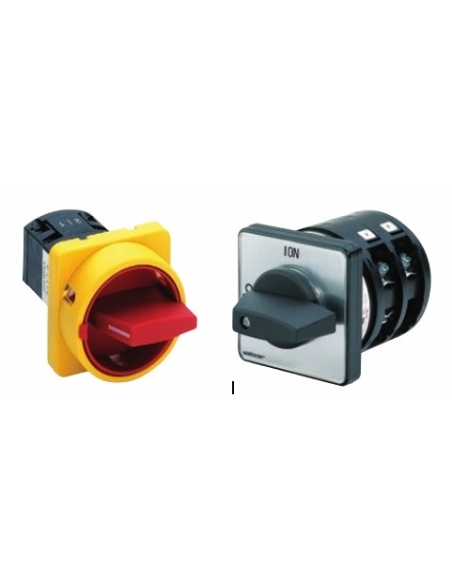 In addition, depending on your needs you can purchase your three-phase switch disconnector or your three-phase cam switch in various sizes, from 20A to 100A in the case of the disconnectors and from 20A to 160A the cam switches. Also, you can choose the color you want, being possible to choose between gray and yellow-red. Depending on its use and its disposition you will need a tonality or another. 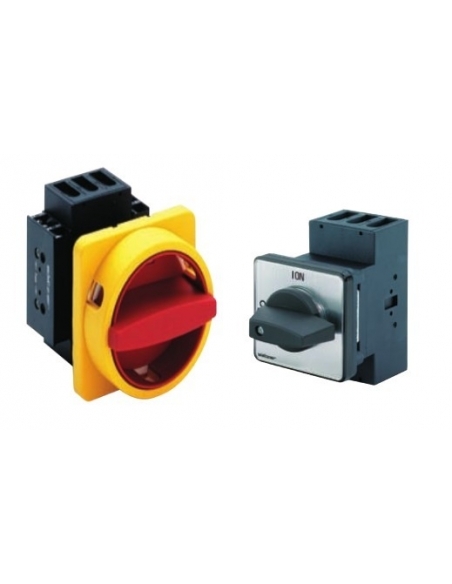 If you need a three-phase rotary switch disconnector that is mounted in a enclousure and is suitable for the interruption, switching and connection of electrical circuits as well as for starting electric machines and motors, this section is of interest to you. 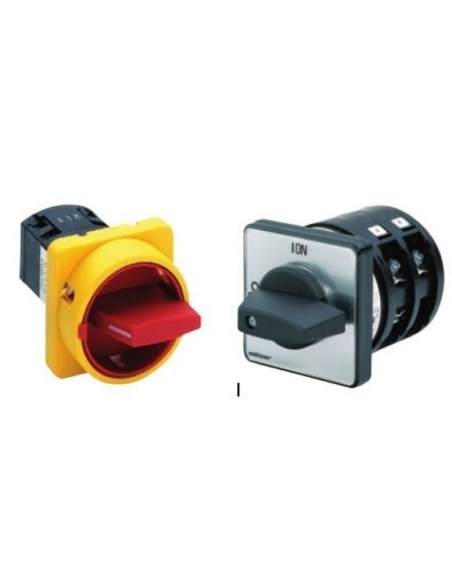 Here you will find a wide selection of enclosed three-pole switches that act as main O-I switches. 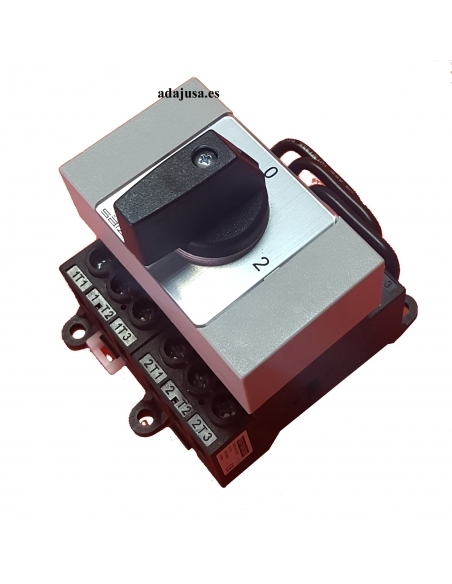 In adajusa.com we submit all our products and electrical equipment to strict controls in order to provide our customers with high quality, completely safe products that contribute to the proper functioning of their facilities disconnet switches in a box that act as main switches O - I. 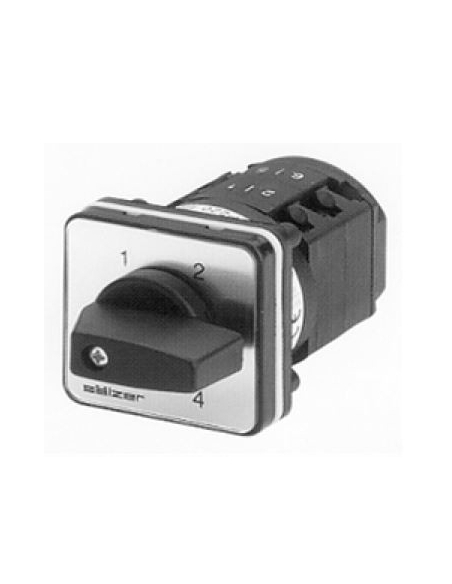 In this section you can enjoy different models of enclosed disconnet switches of different intensity so you can buy just the one that your installation or machinery needs. 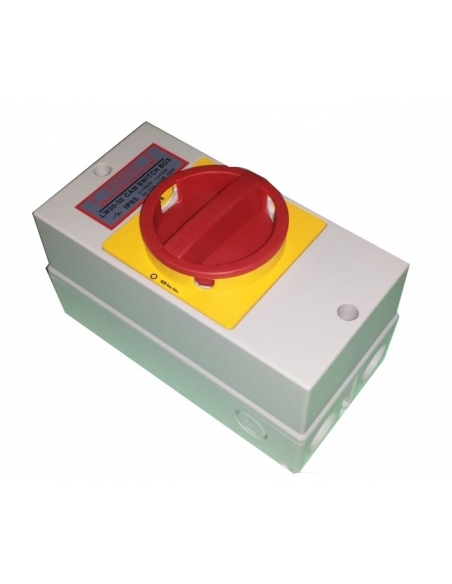 Do not wait any longer and buy it at an incredible price in our online store. Main switches O - I.